I am always trying to present my images in innovative ways. While I don’t have a coffee table book yet, I did want to present collections of my work. A Photographic Folio is just that: a collection of related images packaged together. The eight to ten images are printed on spectacular Epson Textured Fine Art Paper using archival inks. The photographs are hand trimmed and placed in clear archival boxes. The sheets are 8½ x 11 inches each. The Photographic Folios are sold with two pairs of lint-free cotton gloves for use in handling the prints. 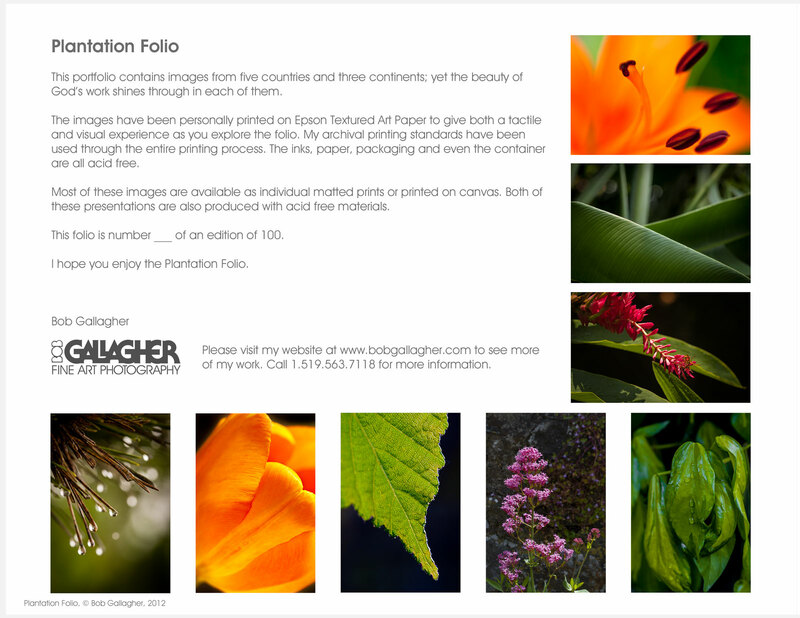 The Folios can be enjoyed by leafing through the set or they are suitable for framing. Each Folio comes with a separate signed sheet showing the images in the Folio and the number of the Folio series. 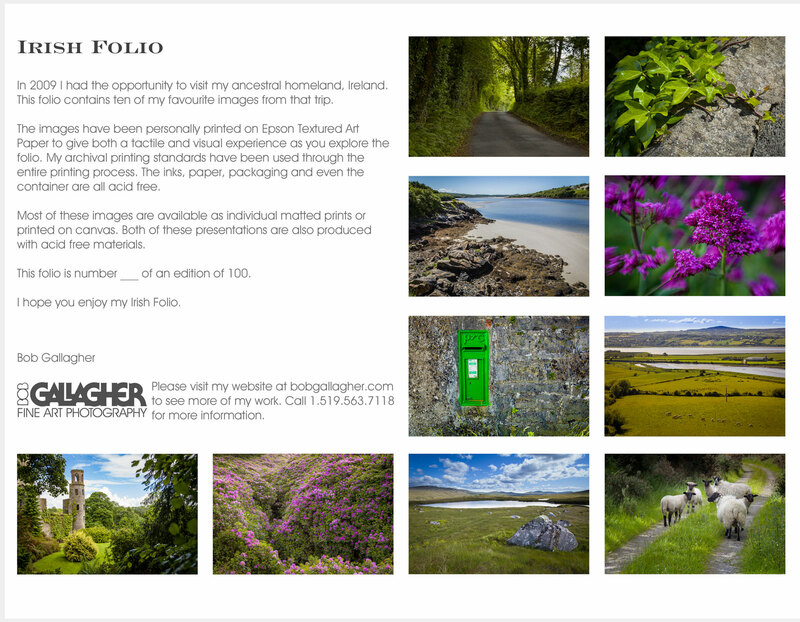 The Folios currently available are shown below. To order call 1.519.563.7118 or email photo@bobgallagher.com. Prices are shown in Canadian Dollars. Shipping is extra and is billed at cost.